5-7 November 2018 - Global Panel Members met in Rome to attend the Fifth Global Panel General Meeting. 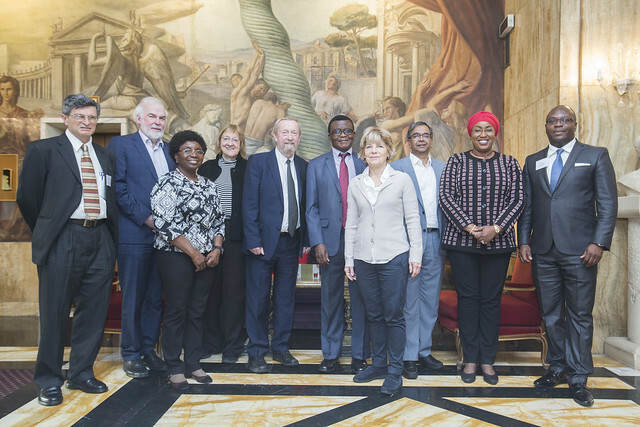 Following the announcement of funding for the next three years from the UK Department for International Development, the Global Panel met in Rome to discuss its strategic priorities in support of the UN Decade of Action on Nutrition. The Panel explored the current and future policy landscape for agriculture, food systems and nutrition, and how best it can continue to assist low and middle income countries with the development of policies to promote safe, affordable, healthy diets. Global Panel Members and the Secretariat also discussed the development of a second Foresight study on Food systems and diets. Foresight 2.0 aims to provide further evidence and policy recommendations to ensure that healthy, high quality diets are placed at the centre of policy actions to improve nutrition and promote social and economic development.